Using a newly-developed computer model called “CoSMoS-COAST” (Coastal Storm Modeling System – Coastal One-line Assimilated Simulation Tool) scientists predict that with limited human intervention, 31 to 67 percent of Southern California beaches may become completely eroded (up to existing coastal infrastructure or sea-cliffs) by the year 2100 under scenarios of sea-level rise of one to two meters. “Beaches are perhaps the most iconic feature of California, and the potential for losing this identity is real. The effect of California losing its beaches is not just a matter of affecting the tourism economy. Losing the protecting swath of beach sand between us and the pounding surf exposes critical infrastructure, businesses and homes to damage. 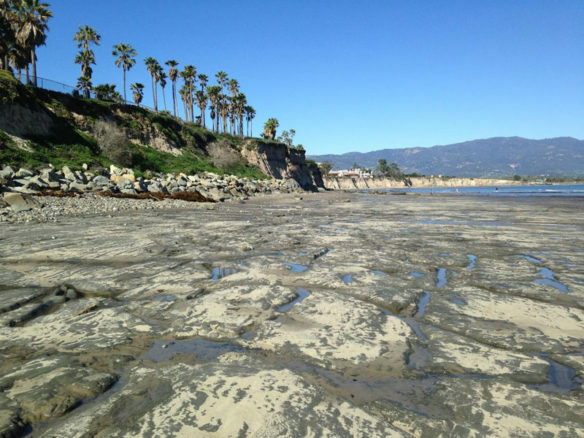 Beaches are natural resources, and it is likely that human management efforts must increase in order to preserve them,” said lead author of the study, Sean Vitousek, who was a post-doctoral fellow at the U.S. Geological Survey when he conducted this study. Vitousek is now a professor in the Department of Civil & Materials Engineering at the University of Illinois at Chicago. 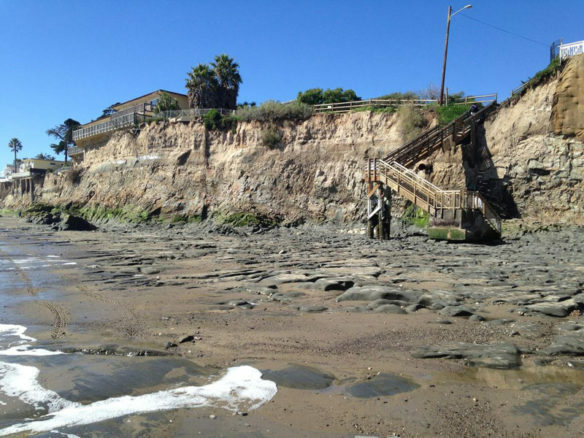 Although a majority (72 percent) of beaches in Southern California show historical trends of accretion or getting larger (due to large artificial beach nourishments since the 1930s), future predictions indicate that nearly all of the beaches will experience erosion (will get smaller) due to accelerated sea-level rise. 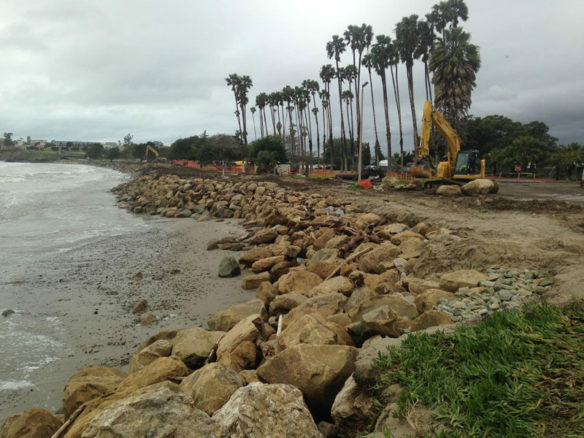 “Beaches in Southern California are a crucial feature of the economy, and the first line of defense against coastal storm impacts for the 18 million residents in the region. 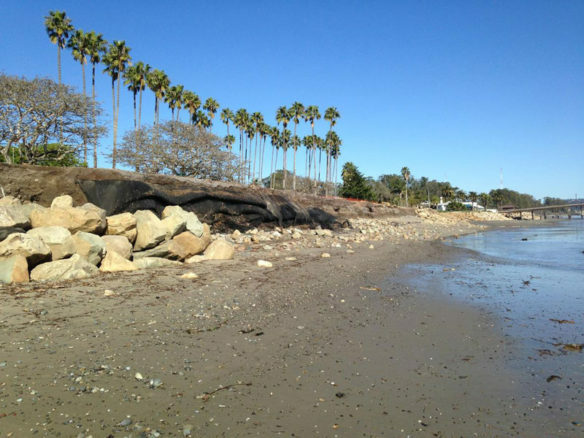 This study indicates that we will have to perform massive and costly interventions to preserve these beaches in the future under the erosive pressures of anticipated sea level rise, or risk losing many of the economic and protective benefits beaches provide,” said USGS geologist and coauthor, Patrick Barnard. Important for coastal hazard assessment and management planning, CoSMoS–COAST is a numerical model used to predict shoreline-change due to both sea level rise and changing storm patterns driven by climate change. The model takes into consideration sand transport both along the beach (due to longshore currents) and across the beach (cross-shore transport) by waves and sea-level rise. Although Southern California beaches are a complex mixture of dunes, bluffs, cliffs, estuaries, river mouths, and urban infrastructure, the model is applicable to virtually any coastal setting. 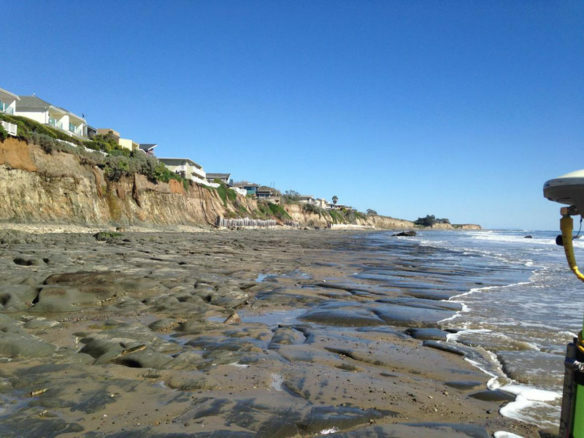 Additionally, the CoSMoS model uses information about historical shoreline positions and how beaches change in response to waves and climate cycles such as El Niño, to improve estimates and improve confidence in long-term prediction of coastline changes in Southern California. Although shoreline change is very hard to predict, scientists are confident in the accuracy and reliability of the model’s predictive capability applied to the forecast period (2010-2100), because of how accurately the model is able to reproduce the historical shoreline change between 1995 and 2010.